Since 1990, we have offered longer or shorter courses for partners funded by Denmark as part our development cooperation. More than 20,000 participants from more than 120 countries have joined our courses over the years. We still offer a small portfolio of courses to Danida-funded partners – and we will continue to do so. The portfolio is put together based on the input we receive though Danish Embassies, Danida programmes and projects and/or former course participants, and we continue to refine and develop it based on feedback from embassies and course participants. For inspiration on the kind of courses we offer or information on coming courses check out our past and coming courses. Please note that many of our courses are only offered to partners of the Strategic Sector Cooperation. The courses open to applicants from Danida-funded partners are indicated in the list. If you do not find courses relevant to your partners, you are welcome to contact us with requests for tailored courses. Please note that these courses must be fully funded by the relevant Danida programme. 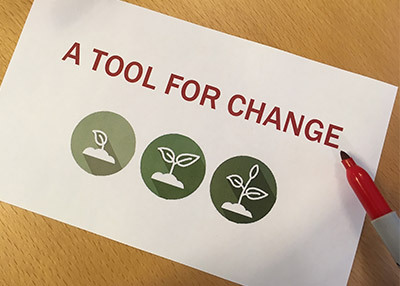 Check out the page other capacity development initiatives or download the document A Tool for Change to find out how we can support you. You are also welcome to contact us at capacity@dfcentre.dk.